Mental illness has plagued people since the beginning of humanity. It is a generic term for many common illnesses, including depression, bipolar disorder, and OCD. Hereditary plays a central role in mental illness, but it can also be developed from traumatic experiences, such as violence, neglect, and stress. Nonetheless, the symptoms are often exacerbated by a person’s surroundings, such as boarding schools or military bases, due to limited human interaction or isolation from home. In times prior to the 21st century, globally, people suffering from mental illness were deemed “crazy” and relegated to spending the remainder of their lives hidden from society in mental asylums. Today, however, particularly in developed countries, people have access to advanced health care including diagnosis, medication, and counseling to improve their condition (Carney). Mental illness has been portrayed in literature and movies such as the “Perks of Being a Wallflower”, “One Flew Over the Cuckoo’s Nest” and the “Heart of Darkness” which was written by the Polish born British author, Joseph Conrad, who wrote in the late 19th and early 20th centuries. This novella is about the experience of Marlow, the protagonist, who traveled to the Congo by ship and observed atrocities of the white traders on the natives, committed notably by a man named Kurtz, whom Marlow befriended. In his novella, Marlow described Kurtz as a ruthless man, and in turn, the Russian trader described Kurtz as having struggled with mental illness. Marlow’s experience with the doctor, his feelings of solitude on the ship and his description of Kurtz and his struggles suggested that mental stability was a major challenge for European colonizers in the Congo. Prior to embarking on his journey to the Congo, Marlow visited a doctor in England. The appointment with the doctor is rather insightful on how mental illness is explained as the doctor believed that Marlow was crazy for desiring to visit the Congo and explains his view about why he personally would never go. He states “I am not such a fool as I look, quoth Plato to his disciples” (Conrad 11). This citation brings up the idea that this journey is precarious and the doctor with all his expertise realized it could only result in tragedy and misery. In a sense, he brought up the idea that the trip and the jungle would create “madness”, stating ‘‘in the tropics one must before everything keep calm’’ (Conrad 12). It is important to note that while the doctor brought up the term “madness”, without the foresight of modern advancement of the diagnosis of mental disorders, it is a sort of umbrella term encompassing a variety of mental illnesses. Also, the doctor questions Marlow if there was “ever any madness in your [Marlow’s] family” (Conrad 12)? Marlow’s response is rather key to the stigma of mental illness at the time, as Marlow replied he “felt very annoyed” (Conrad 12), by the doctor’s probing, perhaps, because he felt the shame and awkwardness elicited by the question and the topic of mental illness in general. Later in his journey, Marlow reminisced about the doctor’s warning and how his hypothesis became reality for him. Marlow explained “I remembered the old doctor—’It would be interesting for science to watch the mental changes of individuals, on the spot.’ I felt I was becoming scientifically interesting” (Conrad 21). Marlow after having witnessed tremendous white-on-black cruelty, and as he was adjusting to a new lonely life, felt that the doctor’s words were becoming increasingly accurate. Marlow’s time in the jungle contributed both to his madness and sadness according to himself and similarly, his time on the ship created moments of mania and depression. Marlow experienced difficulty in the jungle as well as on the ship. On his journey to the Congo, he experienced a deep feeling of loneliness and depression. He explained how he noticed a man firing at an empty coast “There was a touch of insanity in the proceeding, a sense of lugubrious drollery in the sight; and it was not dissipated by somebody on board assuring me earnestly there was a camp of natives—he called them enemies!—hidden out of sight somewhere (Conrad 14)”. Marlow having noticed the lonely ship firing brings up a parallel to him having been alone on this boat among many individuals due to the isolation he felt on the ship and a longing for his life to be interesting. Furthermore, there is a sense of social anxiety, Marlow encountered on a new boat with people he didn’t know while going to a country he had never visited before. He described this feeling as an “isolation amongst all these men with whom I [Marlow] had no point of contact” (Conrad 14) especially due to his fear of being eaten by “cannibals” on the ship. Eventually, when the ship landed, Marlow lost his anxiety and excitement for new experiences and fell into a meaningless routine of waking up, working, eating and sleeping. Marlow explained the daily boredom as “I went to work the next day, turning, so to speak, my back on that station. In that way only it seemed to me I could keep my hold on the redeeming facts of life (Conrad 23). With little ambition and hope, Marlow had begun to go insane largely due to the same routine involving duties on the ship. If he and his crew sailed the boat they “wouldn’t be able to tell where we were going to – whether up or downstream, or across – till we [Marlow and his crew] fetched against one bank or the other – and then we wouldn’t know at first which it was” (Conrad 42). The sense of the unknown surrounding Marlow’s little world created a deep sense of anxiety and isolation for Marlow and his crew members in the vastness of nature. Marlow also felt alone being a white man in a black land where he couldn’t communicate with the natives. Towards the end of the novella, Marlow began experiencing paranoia and the sense of being alone in this world which strengthened with time. For example, when Marlow was lecturing the pilgrims “they thought me [Marlow] gone mad” (Conrad 43), but these experiences faced by Marlow were also felt by his compatriot Kurtz. Kurtz, who was an ivory trader as well as an owner of a trading post, committed horrendous cruelties, such as displaying severed heads of native Congolese people on stakes by his house. Ironically, his cruelty instilled fear into the natives but he was viewed as “godlike” by many of them. He often struggled with moments of being happy and then sad, likely this today would be diagnosed as bipolar disorder. In his happier moments, he presided over his trading post and in his sad, depressive moments, he simply “wandered alone, far in the depths of the forest” (Conrad 55). A Russian trader who befriended Kurtz explained how Kurtz struggled with his emotions, fears, and that “nerves, went wrong, and caused him to preside at certain midnight dances ending with unspeakable rites” (Conrad 50). The rites are signs of his “godliness” among the natives which he received through immense brutality in the prison-like jungle setting. This gave Kurtz an exalted persona achieved through fear making him narcissistic, as well as paranoid of being usurped by figures such as the General Manager. These deep feelings of rage were shown apart from brutality on the natives such as when Kurtz threatened to kill the Russian over a small amount of ivory. The Russian explained of Kurtz’s invincibility and psychosis in his mind having stated Kurtz “could do so [kill him], and had a fancy for it, and there was nothing on earth to prevent him killing whom he jolly well pleased’’ (Conrad 56). The ideas that Kurtz was in a sense superior to all is related to his notion that others are lesser than him due to his race, gender, and social status. In one low depressive moment, Kurtz felt unhappy and “he struggled with himself, too. I [Marlow] saw it—I heard it. I saw the inconceivable mystery of a soul that knew no restraint, no faith, and no fear, yet struggling blindly with itself” (Conrad 66). Kurtz alternated between a persona of invincibility and that of a depressed man. On his deathbed, Kurtz exclaimed “the Horror! the Horror!” (Conrad 70), which probably alluded to his atrocities and his inability to control his Machiavellian urge, partially due to his mental state. 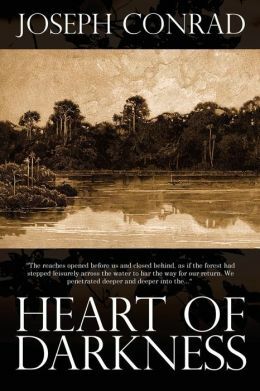 Concluding, mental illness is described in the “Heart of Darkness” as being caused by isolation and homesickness, such as being on the boat and in the jungle for European colonizers. Mental illness to Conrad would have simply been a madness, unlike today where there are different types of mental illnesses and extensive diagnostic tools. Connections to mental illness are found throughout the SPS community such as having a LINC day devoted to this issue which took place last term. The portrayal of mental illness is rather common in literature as well, such as in “The God of Small Things”, where Estha struggles with PTSD after being molested by the Orangedrink Lemondrink Man. Mental illness has been extensively documented such as when many soldiers returned from war they suffered from PTSD for the remainder of their lives (Longworth 1-7). Conrad’s descriptions of mental illness as a “madness” is rather different to its understating today. Unlike a form of ostracization, today when someone is afflicted they are often helped. 1. Carney, Caroline. “Personality and Behavior Changes – Mental Health Disorders.” Merck Manuals Consumer Version. Merck Manuals, n.d. Web. 28 Apr. 2017. <http://www.merckmanuals.com/home/mental-health-disorders/overview-of-mental-health-care/personality-and-behavior-changes&gt;. 2. Carney, Caroline. “Mental Illness in Society – Mental Health Disorders.” Merck Manuals Consumer Version. Merck Manuals, n.d. Web. 28 Apr. 2017. 3. Conrad, Joseph, and Paul B. Armstrong. Heart of Darkness: Authoritative Text, Backgrounds and Contexts, Criticism. New York: W.W. Norton, 2017. Print. 4. Longworth, Sarah Young. “Trauma and the Ethical Dilemma in Arundhati Roy’s The God of Small Things.” (2006): 1-7. University of North Carolina Wilmington, 2006. Web. 28 Apr. 2017. This entry was posted in Essay/Speech and tagged book review on July 31, 2017 by Ideas With Ink.